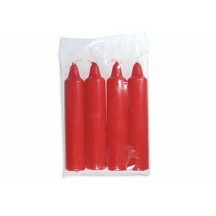 This charming box contains 20 red chime candles. Each candle measures 4" tall and 1/2" across and is dripless and smokeless. Made in Germany. 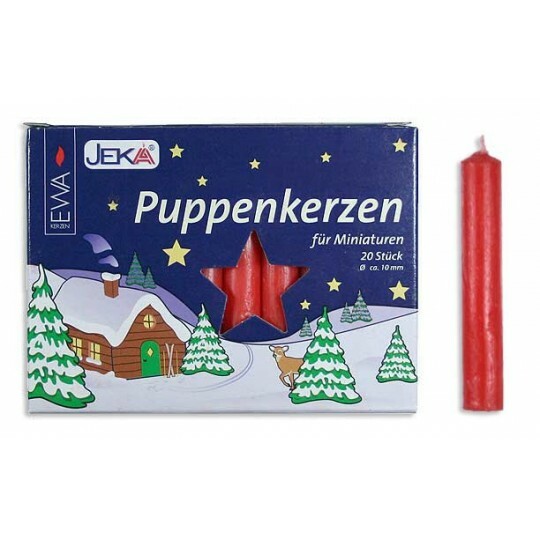 For safety reasons, we recommend that you don't light candles on your Christmas tree, but enjoy them unlit for their charming, nostalgic look. 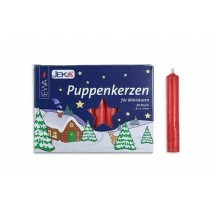 This charming box contains 20 white chime candles. 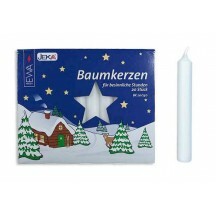 Each candle measures 4" tall and 1/2" across and is dripless and smokeless. Made in Germany. 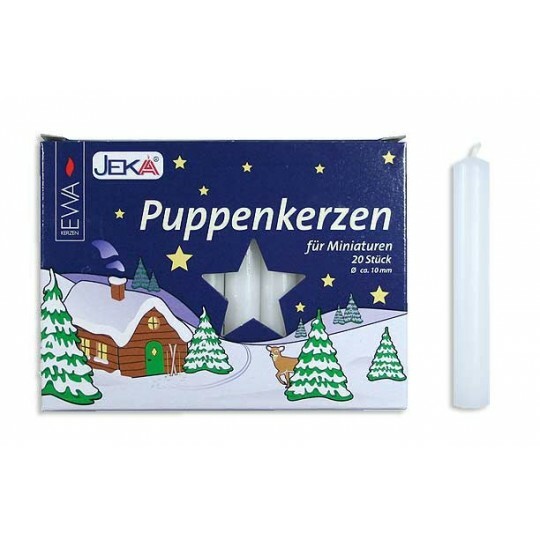 For safety reasons, we recommend that you don't light candles on your Christmas tree, but enjoy them unlit for their charming, nostalgic look. 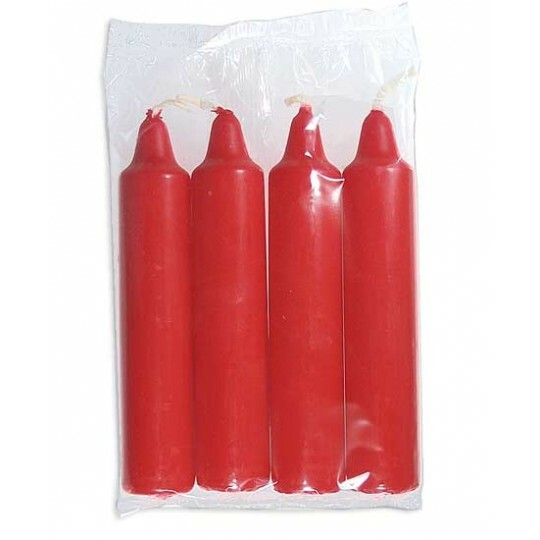 Pack of 4 large dripless and smokeless red candles for table top candle holders and pyramids. 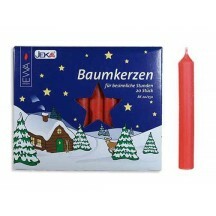 Each candle measures just under 4-1/2" tall and 3/4" across. Made in Germany. 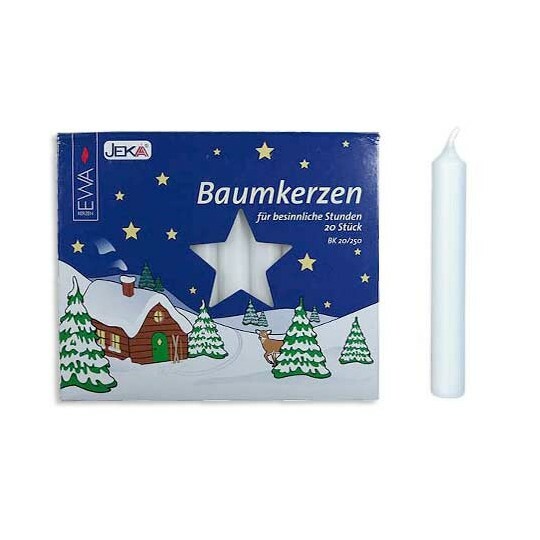 For safety reasons, we recommend that you don't light candles on your Christmas tree, but enjoy them unlit for their charming, nostalgic look. 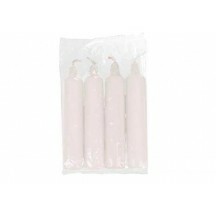 Pack of 4 large dripless and smokeless white candles for table top candle holders and pyramids. Each candle measures just under 4-1/2" tall and 3/4" across. Made in Germany. For safety reasons, we recommend that you don't light candles on your Christmas tree, but enjoy them unlit for their charming, nostalgic look. 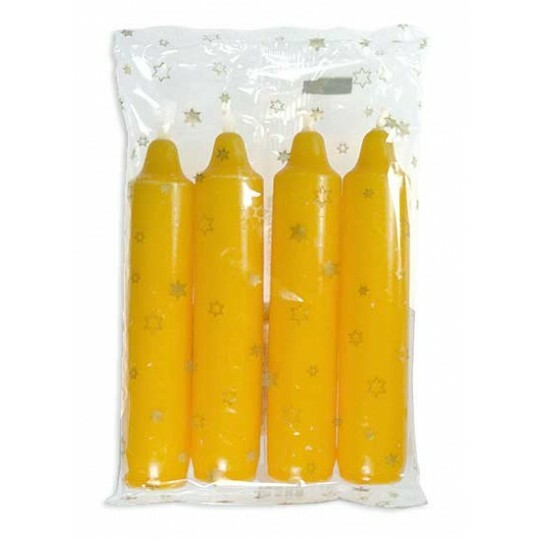 Pack of 4 large dripless and smokeless yellow candles for table top candle holders and pyramids. 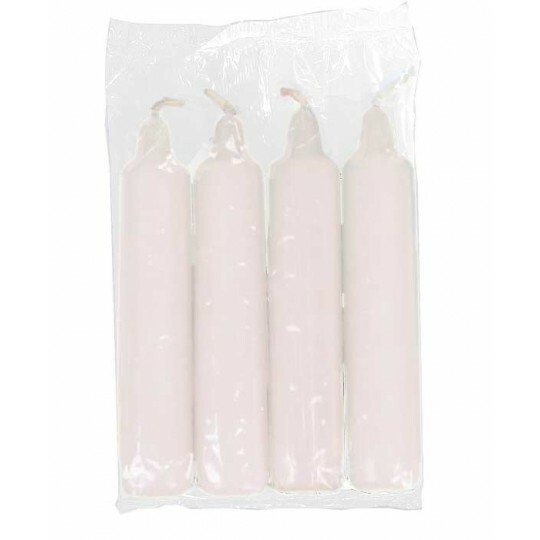 Each candle measures just under 4-1/2" tall and 3/4" across. Made in Germany. 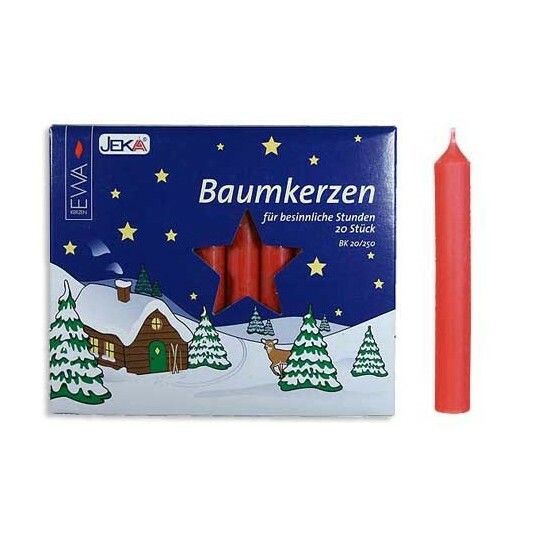 For safety reasons, we recommend that you don't light candles on your Christmas tree, but enjoy them unlit for their charming, nostalgic look.